Brian Chevalier of Manchester, NH is charged in the murder of his ex-fiance, Wendi Davidson, in North Andover, Mass. A New Hampshire man accused of strangling his ex-fiance last month at her home in North Andover, Massachusetts, has returned to the Bay State from California. Brian Chevalier, 51, of Manchester, was arrested April 25 in Mexico — just over the border from Calexico, California, according to the Essex County District Attorney's office. Chevalier was turned over to U.S. officials and held by the Imperial County Sheriff's Department. He faces charges in Massachusetts for the murder of Wendi Davidson. Chevalier did not agree to waive rendition at his arraignment for fugitive from justice charges, meaning authorities needed to seek a governor's warrant to return him to Massachusetts to face a murder charge. 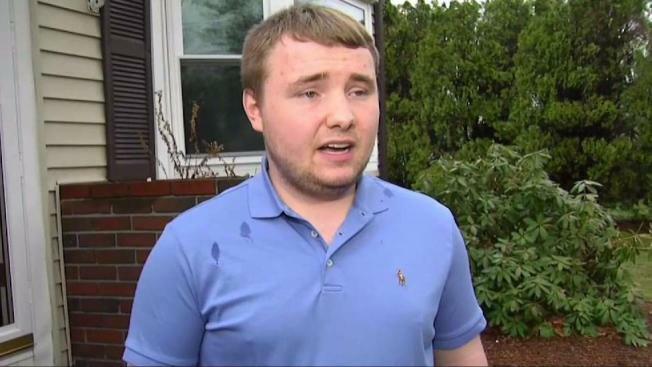 Wednesday night, the DA's office confirmed Chevalier had returned to Massachusetts. He will be arraigned on murder charges Thursday morning in Salem District Court. Davidson was found strangled to death in the basement of her home on April 21. "Once it was determined it was a murder I immediately thought it was him," Davidson's son, Josh, said that month. Davidson's family said the pair had dated for a couple of months before getting engaged, but broke up about a month later in March. Her family says even though Chevalier hoped to rekindle the relationship, Davidson did not seem concerned for her safety. "She would drop everything and be there for you and ask questions later," said her son. "Her smile would light up a room, she just touched so many lives." Chevalier is also wanted for violating parole in a New Hampshire case.